Even though it’s technically 2019, in southern Ontario some organic producers are still stuck in 2018 – at least when it comes to harvest. “We’ve still got guys combining (soybeans) with snow on them. It never got dry and they were waiting for them to get dry, but we just never had a three day window to combine anything,” said Andrew St. Jean at Beechwood Organics in Parkhill, Ont. According to St. Jean the harvest is roughly 99.5 per cent complete, but when contacted on Jan. 28 he said there were still guys trucking in recently harvested crops to Beechwood’s elevator. 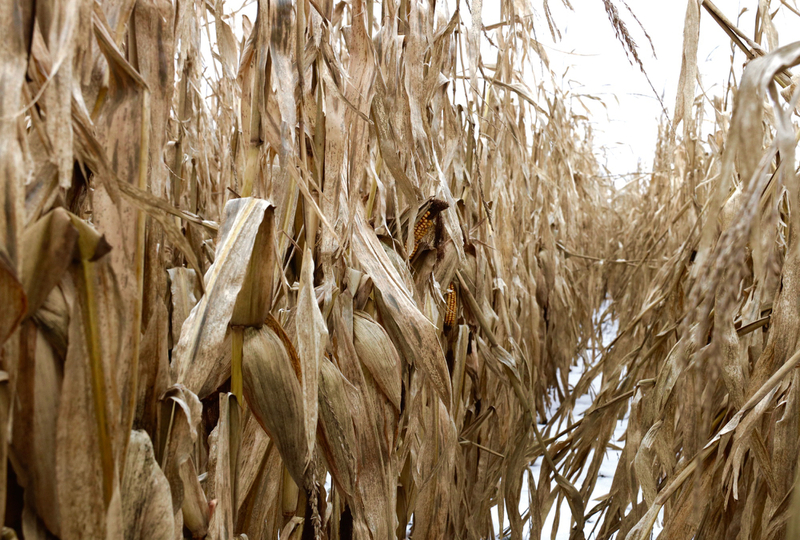 While conventional corn crops in southern Ontario were affected extensively with vomitoxin due to the wet harvest, organic corn crops weren’t hit as bad. “There’s been pockets of vom but overall the vom’s been drastically lower, even fields side by side, conventional to organic. So it’s been a slow harvest” St. Jean said, adding most farmers just want to get 2018 behind them and start thinking about this year. In Ripley, Ont. organic growers at Wehrmann Grain & Seeds Ltd. experienced a rough growing season too, but the company is already starting to make plans for this year’s growing season. “All things being equal (organic prices) will stabilize or there will be some down pressure and that is entirely due to rate of transition in Western Canada, not so much in Ontario. There will be good opportunities in Ontario for specialty crops,” said Harro Wehrmann at Wehrmann Grain & Seeds Ltd.
Wehrmann thinks there will be opportunities for growers with crops like edible beans, specialty winter grains, ancient grains and sunflowers. This is due to them not being commodity markets which can be swayed by the national organic crop market. “There isn’t an open market, so basically the difference between the processor and the farmer,” he said, adding processors are already showing interest in these crops. While the organic market is usually slow in January, buyers and farmers in Western Canada are finding it more quiet than usual this year. “Normally things are quiet through Christmas and the early part of Jan, and then when we hit the trade shows, boom, everything starts to take off. And this year it’s just not,” said Scott Shiels at Grain Millers Canada in Yorkton, Sask. Usually after Shiels attends some of the trade shows like Crop Production Week in Saskatoon, Sask. or Manitoba Ag Days in Brandon, Man., he’ll start to have an idea of what acreage is going to look like and then he’ll start working on getting new crop pricing together. But this year that isn’t the case. “(Traders) were more talking on a much more local basis that there’s just no real direction, no real talk,” he said. Tristan Gill at Westaqua Commodity Group is also finding it’s been a quiet January. Gill suspects some of this has to do with farmers already having crops contracted for delivery through March. “There’s a lot of products unsold on the marketplace, prices are backing down and when prices are backing down people are less inclined to purchase,” he said, adding he suspects the market to perk up later in February. Shiels has heard a lot of producers who grew yellow peas and wheat are having trouble selling them. Based on his own business, he knows a lot of producers will be switching back to growing crops like oats this year, as that has been one of the few crops which has seen movement lately.